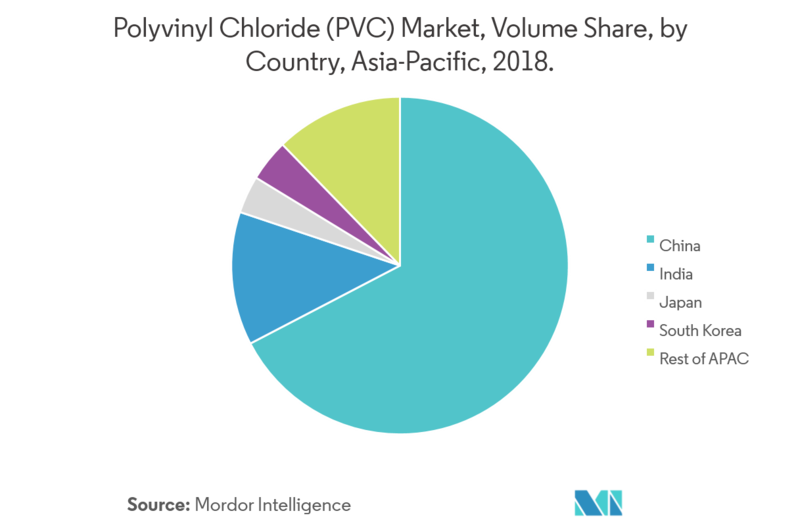 The market for Asia-Pacific Polyvinyl Chloride (PVC) is expected to grow at a CAGR of 5.14 % during the forecast period of 2019 – 2024. 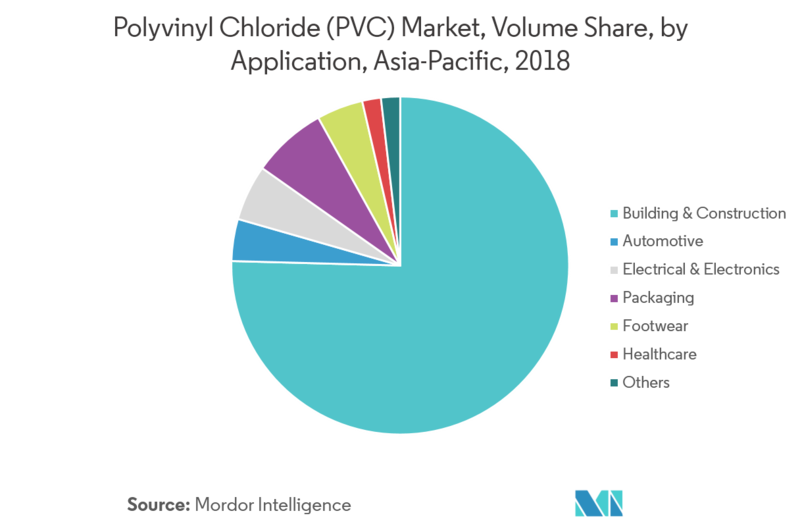 Major factors driving the market studied are increasing the use of plastics to reduce vehicle weight and enhance fuel economy, growing demand from the construction industry, and increasing applications in the healthcare industry. However, hazardous impacts on humans and the environment are expected to majorly hinder the growth of the market studied. Pipes & Fitting's segment dominated the market in 2018. The demand for PVC pipes and fittings is driven by its increasing demand in the developing countries, especially in the agriculture-based economies, like India, China, Indonesia, etc. 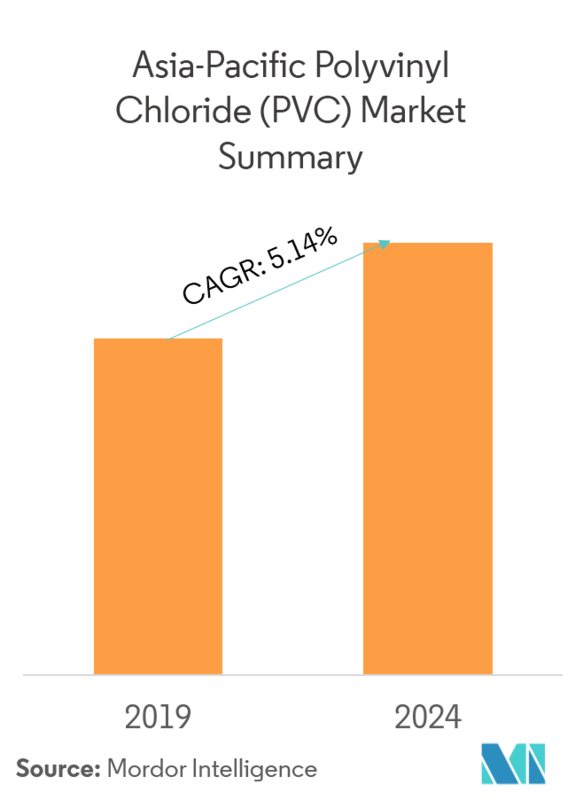 Accelerating usage of electric vehicles and PVC recycling are likely to act as an opportunity in the future. China dominated the market across the region in 2018. The construction sector in the Asia-Pacific is the largest in the world, and is growing at a healthy rate, owing to the rising population, increasing middle-class income, and urbanization. Increasing infrastructure construction activity is the major driver for the construction sector in the region. In addition, the entry of major players from the EU into the lucrative market of China has further fueled the industry’s expansion. Owing to their business potentials, countries, like Indonesia, China, Malaysia, Singapore, and South Korea, have become hosts to numerous national and international events. Huge consumer base and cheaper manufacturing costs in the Asia-Pacific region are drawing in high FDIs, with India and China being the major beneficiaries. In the 2016-2017 fiscal year, India had a total FDI investment of USD 60.08 billion, which was 8% higher than that in the previous year, with huge investments in real estate and infrastructure. Such favorable business environment in the region has further accelerated the demand for hotels, shopping malls, high-rise buildings, arenas, and stadiums (both outdoor and indoor), thereby, boosting the construction industry in the region. Besides this, the residential construction has also been increasing in the region, which is driven by the growing population and rise in migration, owing to employment opportunities. In recent years, China has become a global industrial and manufacturing hub. The Chinese market is expected to witness significant growth during the forecast period, owing to the significant increase in the per-capita income of the middle-class population and resultant increase in the sales of consumer goods in the region. China has planned many infrastructural development projects, such as the Belt and Road Initiative, as well as infrastructural projects, which includes the development of airport (new Beijing airport), roads (30,000 km of highways, with bridges built or upgraded), 30,000 km of high speed rail covering (which is expected to cover more than 80 cities), and 60% of urbanization ratio with permanent residents. The country is a leader in the electric car market in Asia-Pacific, as well as across the world. The country is expecting a total annual sales of 2 million electric and gasoline-electric hybrid vehicles, by 2020. The Chinese government is providing substantial financial and non-financial incentives to boost the sales of electric cars. The country’s New Energy Vehicle (NEV) initiative is aimed at aiding the electrics reach 20% of the automotive market by 2025. However, the NEV sector is expected to grow rapidly, after the subsidies are terminated, by the end of 2020. As China is the world’s largest manufacturing economy, its packaging requirement is huge. In 2017, the industrial output in the country expanded by 6.6%, which had a positive influence on the packaging industry. Moreover, the country witnessed a rapid growth in the fast-moving consumer goods (FMCG) market during 2017. The growth of the FMCG market was majorly driven by the increased spending on premium and healthier products by middle-class consumers in the country. 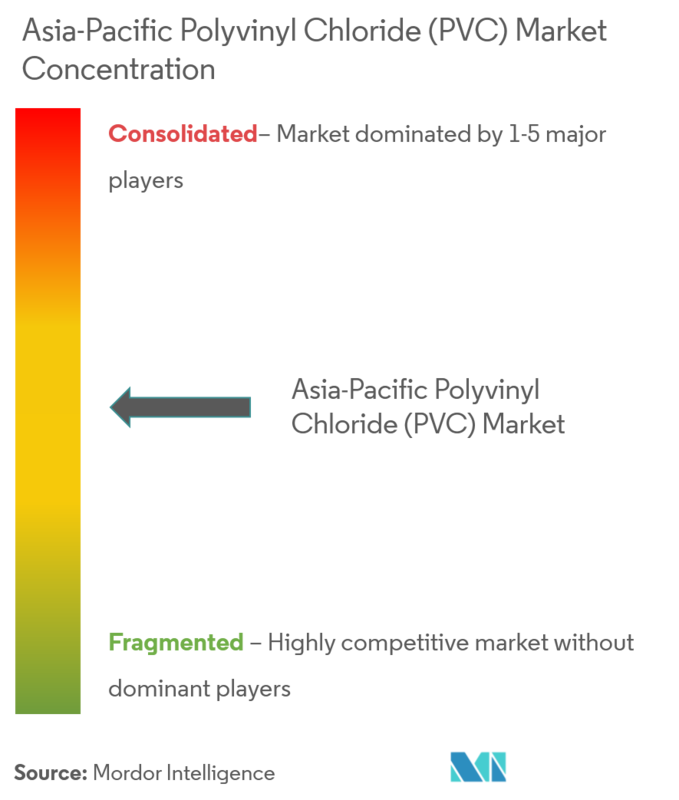 The market studied is highly fragmented, and consists of many Central Asian and ASEAN players. 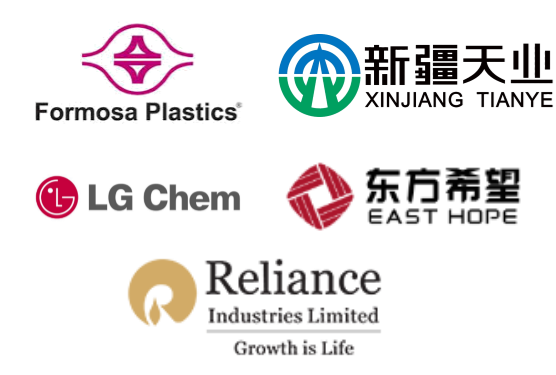 Some of these major players include Formosa Plastics Corporation, Xinjiang Tianye, East Hope Group, LG Chem, and Reliance Industries Limited.